It is not easy to build a sustainable technology business. Understanding the risks you may face and addressing them head-on can, however, significantly increase your chances of creating a billion dollar business. In my last post, I talked about how to assess your market risk. Now, I will focus on Team Risk and how, once you have identified a market disruption, you can attract the right folks to build the right product and address the opportunity. Team Risk = Why you? Almost everyone would agree that a successful business needs smart people who work together well and have the right skills to build and sell their product. Companies need good leaders, good visionaries, good “soldiers” and good sellers. A business is the sum of all its decisions, good and bad. Let’s face it; it’s people who make the decisions. The right team, however, is different than a good team. It is a function of market, product and timing and should always be viewed in this context. This sounds counterintuitive given the continual emphasis on people being the most valuable asset.. But hiring really great people who have no competitive advantage to address a particular market opportunity is not a good recipe for success, especially when measured not just by good outcomes but also by time and investment. Even if the market opportunity is great, hiring the wrong team can seriously hamper growth, and allow for competitors to encroach or cause a company to miss the opportunity altogether. Conversely, thinking that you can overcome a tepid market opportunity by putting together a highly skilled and brilliant team has generally resulted in failure. 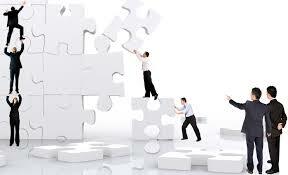 The secret is to put together a great team that has the right competitive advantage to solve a burning customer need. The first great management team I ever worked with were early pioneers in workgroup switching. They were exceptionally smart, had deep background in telecom and Internet networking, had engineering and marketing talent … and were riding one of the biggest market waves of all time. They sold their company just as the Internet networking boom took off and eventually became executives of what grew to be a $10 billion plus product line. This was great team meets great market. In the early 2000s, this same team identified the disruptions occurring in the data center and sought to build a new start-up. They spent considerable time trying to build a product to disrupt network file systems but floundered, as they had no relevant background except the fact that they were successful technology entrepreneurs and executives. This was wrong team meets great market. This team finally identified that a problem existed in the access to and management of datacenter storage, analogous to the problem that they had solved in workgroup storage and compute. They restarted the company focused on this market opportunity, used their technology experience to build a product that leapfrogged much bigger incumbents and leveraged their previous customer relationships to get early beta trials. Two years later they were at a $100m revenue run rate and got acquired for over a billion dollars. This sounds obvious until you look at the innumerable times the above points are violated in companies we see everyday. The lure to hire hot individual brands coupled with the lack of clarity around one’s true market requirements often lead to putting good people in the wrong companies and roles. And things change during the life of a company. Markets evolve and companies grow. As a business scales, it may need leaders with different skill sets than it initially started with. Bringing in more experienced CEOs or CFOs is sometimes a tough choice and an emotional hurdle for founders to overcome as they perceive that they might lose control or be replaced. Conversely, bringing in very senior large company execs too early might also miss the mark. Training is also vital to up level skills and avoid churn. And as different executives join at different times, managing culture, team chemistry, and incentives gets trickier and demands constant evaluation. The assessment of team risk is an ongoing one and unfortunately can be highly subjective. It is often easier to blame product or customer dynamics than to truly face deficiencies in individuals or poor hiring. But as the great CEO and management guru Jack Welch once said, “If you don’t have competitive advantage, don’t compete.” This applies to people as well as product. Flip side is that if you have competitive advantage in both, you may be well on your way to even more than just the next billion-dollar business.